Code signing is a security technology that you use to certify that an app was created by you. On macOS the system can detect any change to the app, whether the change is introduced accidentally or by malicious code. On Windows the system assigns a trust level to your code signing certificate which if you don&apos;t have, or if your trust level is low will cause security dialogs to appear when users start using your application. Trust level builds over time so it&apos;s better to start code signing as early as possible. If you are building an Electron app that you intend to package and distribute, it should be code signed. 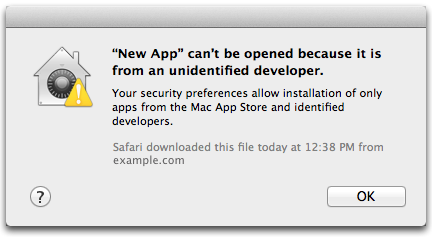 The Mac and Windows app stores do not allow unsigned apps. electron-osx-sign is a standalone tool for signing macOS packages. electron-packager bundles electron-osx-sign. If you&apos;re using electron-packager, pass the --osx-sign=true flag to sign your build. electron-forge uses electron-packager internally, you can set the osxSign option in your forge config. For more info, see the Mac App Store Submission Guide. electron-forge can sign installers it generates through the Squirrel.Windows or MSI targets. See the Windows Store Guide.